What are your questions about the EPA's cleanup plan for West Lake Landfill? The Environmental Protection Agency has finalized its plan to remove radioactive waste from the West Lake Landfill Superfund site. The $205 million plan intends to remove about 70 percent of the site’s radioactivity and dispose of the waste at an out-of-state facility. The EPA will spend the next year and a half determining how to clean up the site and how to keep workers and the area residents safe during excavation. On Thursday, the Environmental Protection Agency approved plans to clean up radioactive waste at the West Lake Landfill Superfund site. The agency plans to remove about 70 percent of the site’s radioactivity and dispose of the waste at an off-site facility. The entire process is estimated to cost $205 million and take about four and a half years to complete. Updated at 5:45 p.m. with statement from Republic Services — The Missouri Department of Health and Senior Services has determined that past exposure to sulfur-based compounds in the air near the Bridgeton landfill may have harmed the health of area residents and workers. In a report released Friday, health officials said the odors may have aggravated chronic conditions such as asthma or caused respiratory problems. That came as no surprise to area activists, who have long said emissions from the landfill are hazardous. The department’s report notes that sulfur-based odors may occasionally affect the health or quality of life of people who live or work near the landfill. However, it notes that current gas emissions from the landfill likely are not harmful. The state of Missouri reached a settlement Friday with the owners of the Bridgeton landfill over how they’ve handled an underground smoldering fire. Former Missouri Attorney General Chris Koster filed suit against the companies in 2013, alleging that the fire under the Bridgeton landfill was harming local residents. The fire is located about 600 feet from World War II-era radioactive waste under the nearby West Lake Landfill. Under the terms of an agreement approved by St. Louis County Circuit Judge Michael Jamison, Bridgeton Landfill LLC, Allied Services LLC and waste-management company Republic Services must put $12.5 million in a “community project fund” to compensate residents affected by the landfill. The owners agreed to also pay $3.5 million in penalties and damages to the state. Updated March 5 with new public comments deadline — The Environmental Protection Agency has released the full details of its proposal to remove radioactive waste from the West Lake Landfill. The agency will make a final decision after a public comment period. The Environmental Protection Agency proposal to partially remove nuclear weapons waste from a northwest St. Louis County landfill marks a major shift in approach to a problem that’s plagued residents for decades. Since 1990, federal officials have either passed the buck on remediating West Lake Landfill or proposed building a cap over the site, which does little to prevent the tons of radioactive waste from contaminating groundwater. On Thursday, EPA head Scott Pruitt announced his “Excavation Plus” proposal to remove much of the waste, which is about 600 feet from an underground fire in the adjacent Bridgeton Landfill, and permanently cover the rest. Here's a guide to our coverage. Updated at 3 p.m. to clarify how much waste would be removed and with additional reaction — The Environmental Protection Agency has decided on a partial removal of World War II-era radioactive waste at the West Lake Landfill, in northwest St. Louis County. The EPA proposed a remedy that would remove “the majority of the radioactive material” and construct a cover system to “best protect the community of Bridgeton over the long term,” the agency said today in a news release. 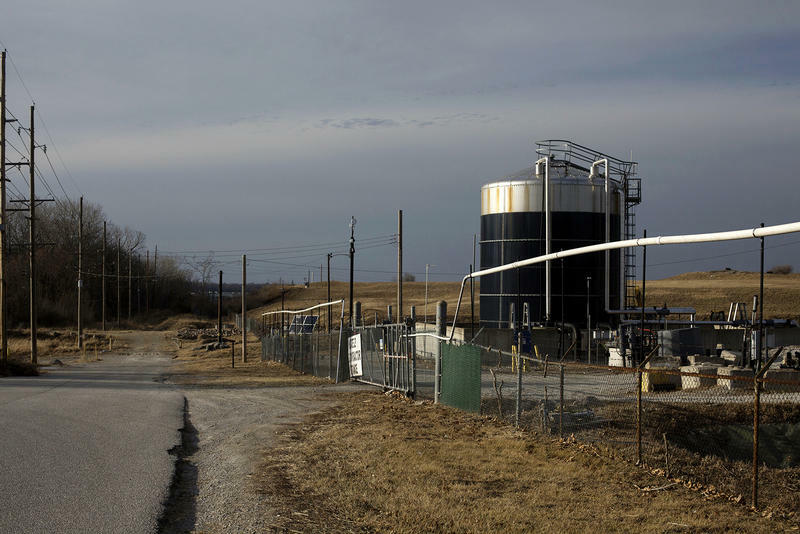 The Environmental Protection Agency is expected to soon announce its plans to clean up the waste in West Lake Landfill. For people who live near the landfill in north St. Louis County, the decision couldn’t come soon enough, as the waste sits approximately 600 feet from an underground smoldering fire. The landfill has been on the EPA’s National Priorities List since 1990. Eighteen years later, the EPA under the administration of President George W. Bush recommended capping the landfill. The waste has sat at the site since its former owner, Cotter Corporation, dumped it there in 1973. EPA officials may decide to remove the waste entirely, remove it in part, or cap the site. Albert Kelly, senior adviser to EPA administrator Scott Pruitt and the head of the agency's Superfund Task Force, made the announcement at a forum late Thursday, where members of the community voiced concerns about the landfill. Kelly said he expects the sampling to occur within the next 90 days in the western part of the site, a portion that agency officials often refer to as "Operating Unit 2." Residents and environmental activists expressed concerns at a public hearing Wednesday night that the state's pending stormwater permit for the Bridgeton Landfill does not require monitoring for radioactive waste. 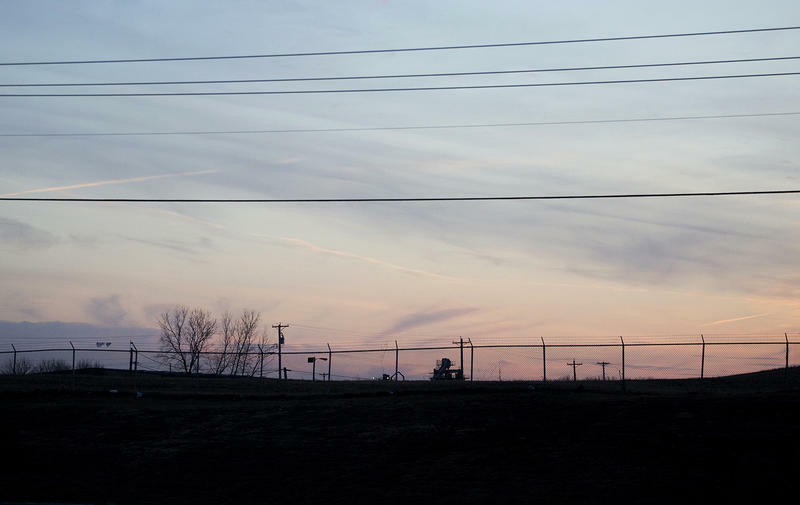 The Bridgeton Landfill sits above an underground smoldering fire, located about 600 feet from the World War II-era radioactive waste that's under the West Lake Landfill Superfund site. Concerns about radioactive contamination in stormwater rose over the summer, when the Missouri Department of Natural Resources released a report showing levels of alpha particles in runoff at Bridgeton Landfill that exceeded drinking water standards after heavy rains in late April. Alpha particles are a type of radiation that does not pierce the skin and must be ingested to damage human health. 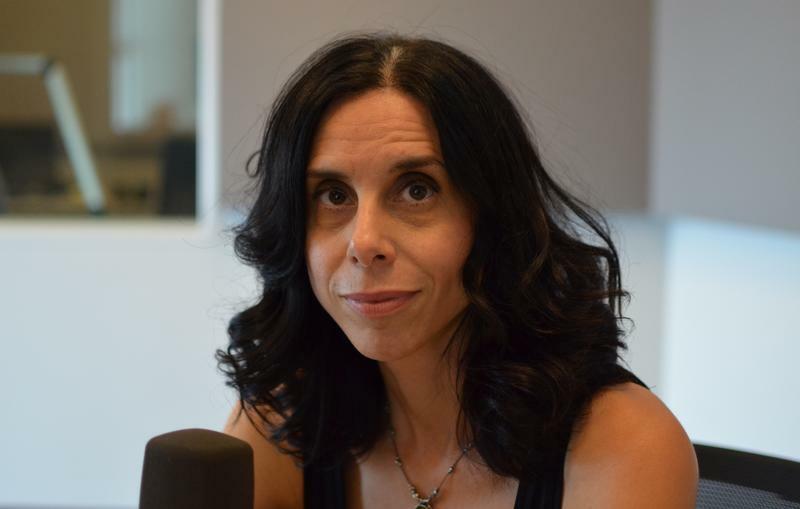 "Atomic Homefront" director Rebecca Cammisa grew up in New York and had long been familiar with environmental remediation efforts there before she first came to St. Louis to shoot a film about the legacy of nuclear waste here. Her documentary, which was acquired by HBO, and will be screened tonight at the St. Louis Filmmakers Showcase, charts the history of atomic waste in St. Louis associated with the Manhattan Project and the citizen activist movement here to have it dealt with. The Environmental Protection Agency is planning to test areas in Bridgeton for radioactive contamination. Federal officials are responding to allegations made by residents near the West Lake Landfill. In a lawsuit filed Tuesday against against landfill owner Republic Services, Michael and Robbin Dailey claimed contamination from the Superfund site was found in their home. According to a letter from an EPA lawyer, the agency plans to sample dust and soils at the home and other areas in Bridgeton. EPA officials have previously said there is no evidence that radioactive material has migrated away from the site. 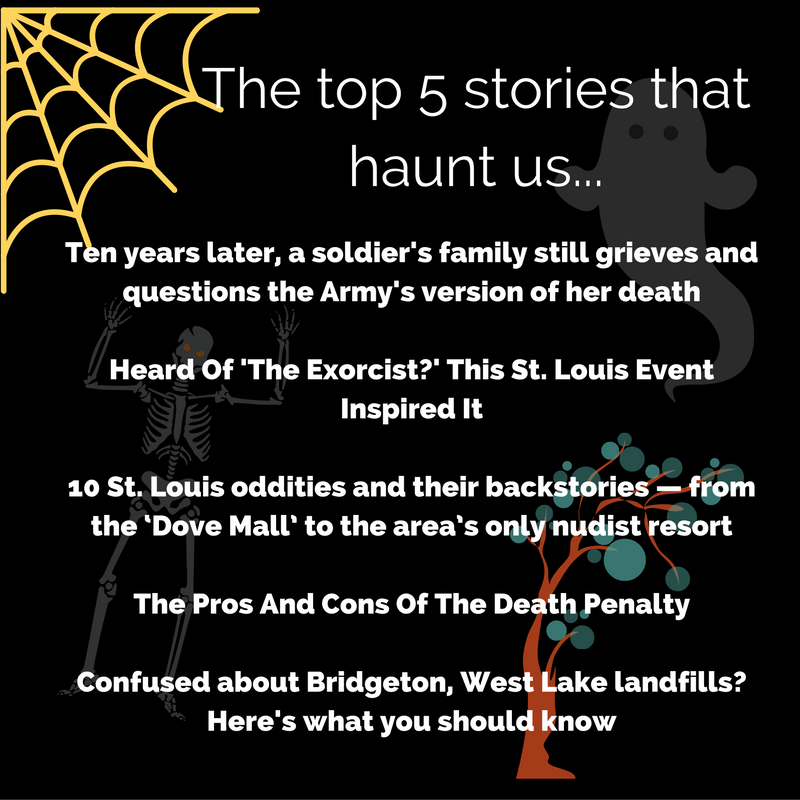 These stories appear in our top five stories periodically. Some are assigned to classes for students. Others appear on websites, such as Reddit. The rest are inexplicably popular. 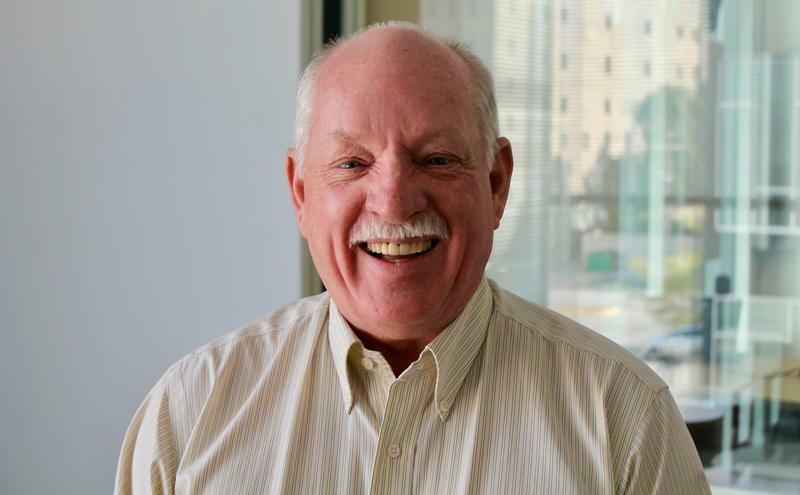 On the latest edition of the Politically Speaking podcast, St. Louis Public Radio’s Jason Rosenbaum and Jo Mannies welcome state Rep. Bill Otto the program. The Maryland Heights Democrat is running against U.S. Rep.Ann Wagner in Missouri’s 2nd Congressional District. Wagner, a Republican from Ballwin, is slated to record an episode of the podcast next week. 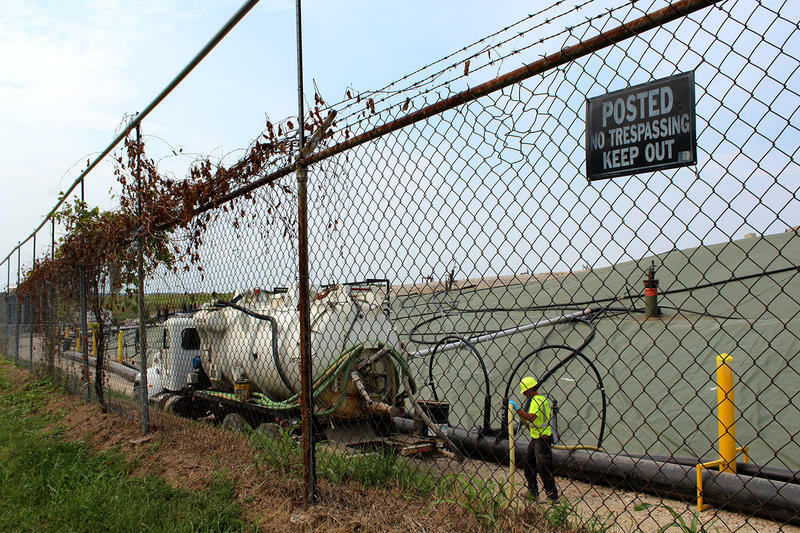 This story was updated Oct. 20 with a response from Republic Services — The Missouri Department of Natural Resources has ordered Bridgeton Landfill LLC owner Republic Services to study the increased groundwater contamination detected at the site. In a letter addressed to Republic Services engineer Erin Fanning last Friday, MDNR engineer Charlene Fitch provided a detailed review of groundwater sampling reports that span from October 2014 to April 2016. The sampling was conducted by a contractor hired by Republic Services. It noted increasing levels of hazardous substances that exceed federal levels, particularly benzene, which can increase the risk of cancer to those exposed to it. Residents near the Bridgeton Landfill did not report significantly higher rates of asthma and other respiratory illnesses on a recent health survey conducted by the St. Louis County Department of Public Health. “There are some concerns, but for the most part, as related to asthma and chronic obstructive pulmonary disease (COPD), it is reassuring,” said Faisal Khan, the agency’s director. 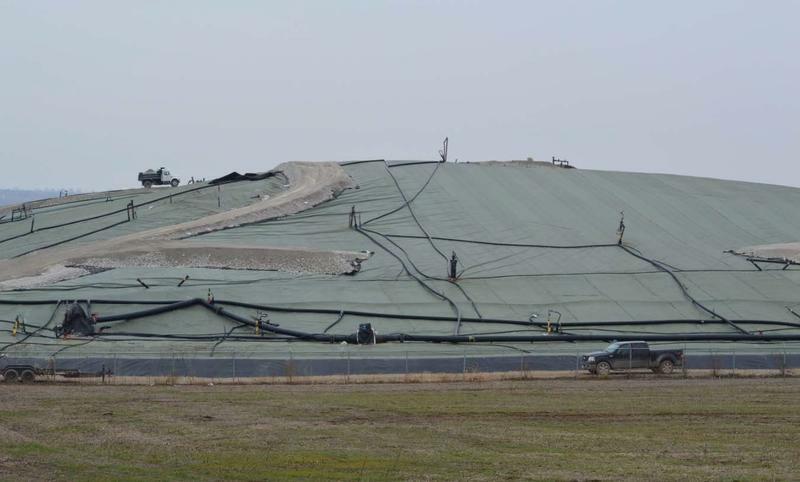 Officials from the Environmental Protection Agency did not attend a public meeting to share updates on the West Lake Landfill in Bridgeton late Monday after someone made threatening comments in a Facebook group for local advocates.